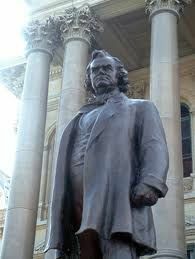 Senator Stephen A. Douglas of Illinois, the great antagonist of Abraham Lincoln, gave many eloquent speeches in his career, but the finest one he delivered was at the end of that career on April 25, 1861 to a joint session of the General Assembly of the State of Illinois. 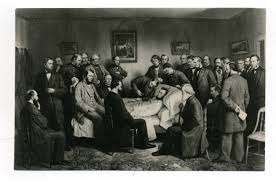 In broken health, his coming death on June 3, 1861 already foreshadowed, he summoned the energy to help save his country. Always first and foremost a patriot, Douglas was intent on rallying members of his party to the cause of the Union. After one of the most vitriolic presidential contents in the history of the nation, it was an open question as to whether most members of the Party of Jackson would stand in support of the efforts of the Lincoln Administration to fight to preserve the Union. Douglas, putting country above party, helped ensure that they would. Immediately after the election of Lincoln he made it clear that he would make every effort in his power to fight against secession. At the inaugural speech of Lincoln, he held the new President’s hat, giving a strong symbol of his support. Illinois was a key state for the Union in the upcoming conflict. 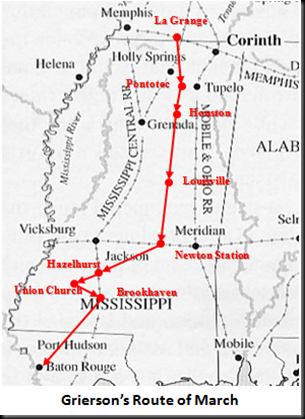 Pro-Southern sentiment was strong among Illinois Democrats in the southern portion of the State, with even some talk that “Little Egypt”, as the extreme southern tip of Illinois is called, should secede from the rest of the state and join the Confederacy. To rally his supporters for the Union, and at the request of President Lincoln, Douglas returned to Illinois and on April 25, 1861 had his finest hour. The speech he delivered that day has gone down in Illinois history as the “Protect the Flag” speech. It was received by both Republicans and Democrats with thunderous applause and cheers throughout. Although there would be much dissension in Illinois during the War, Douglas helped ensure that Illinois would be in the forefront of the war effort, with its quarter of a million troops, among whom was Ulysses S. Grant, who would ultimately fight under the Stars and Stripes being absolutely crucial to Union victory.